If you have a road trip or a long drive coming up, and you’re already dreading the “are we there yet?” whining from your kids, this is the post for you. Some parents prefer to avoid traveling altogether because of the stress involved. After all, keeping your kids cramped up in tight spaces with no space to move is less than ideal. But, travel can also open up your child’s world, give them the wonderful gift of relationships with relatives and awaken their imagination. Take turns telling a story. Each person travelling gets to add a sentence until the story ends. For extra fun, use a set of cards with nouns on them. Choose 3 cards at the beginning of the story. These nouns must be included in the story. Use clipboards and paper or buy your children special blank notebooks. 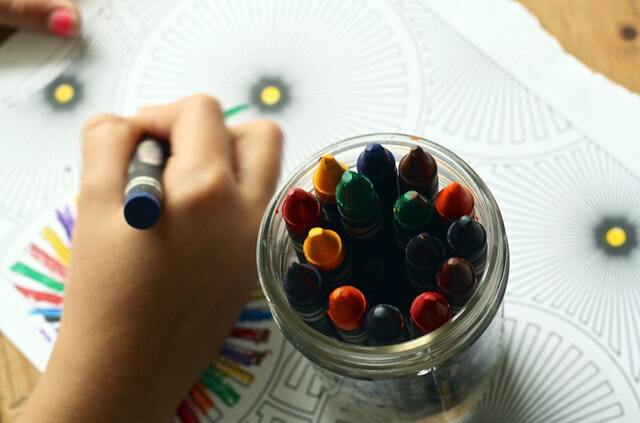 Allow their creativity to flow, drawing pictures and writing as they please. Take plenty of books to read or get some books on tape from your local library. Enjoy listening to the stories together. If you’re driving, look for letters outside until you find each letter of the alphabet. The catch? They have to be in order! For an additional challenge, try to find a word starting with each letter of the alphabet. Either keep the list together, as a group, or see who gets them all first! This classic game is great for children young and old. One person thinks of something, usually a person, place or thing. The other players are allowed to ask 20 yes or no questions to guess what it is! If they can’t guess within these 20 questions, the person who thought of the noun wins. Make up a few scavenger hunt bingo cards for your trip. Include things you’ll see along the way like a river, fast food restaurant, luggage cart, control tower, toll booth, red car, etc. For the youngest players, use pictures instead of words. Provide one card and some stickers (in place of markers) for each player. The first person to fill up their card wins! See if you can find a license plate from each state in the country. Provide each child with a list so that they can check them off. For an extra challenge, provide a map (no names!) instead. Teach your kids to make braided or knotted friendship bracelets. This is a great way to pass the time. For this game, one player hums a common song such as a nursery rhyme. The first player to guess the name of the song wins. The player who guesses the name goes next. Add these games and activities to your usual bag of items your kids enjoy and you’ll keep boredom at bay during your trip. Happy travels!